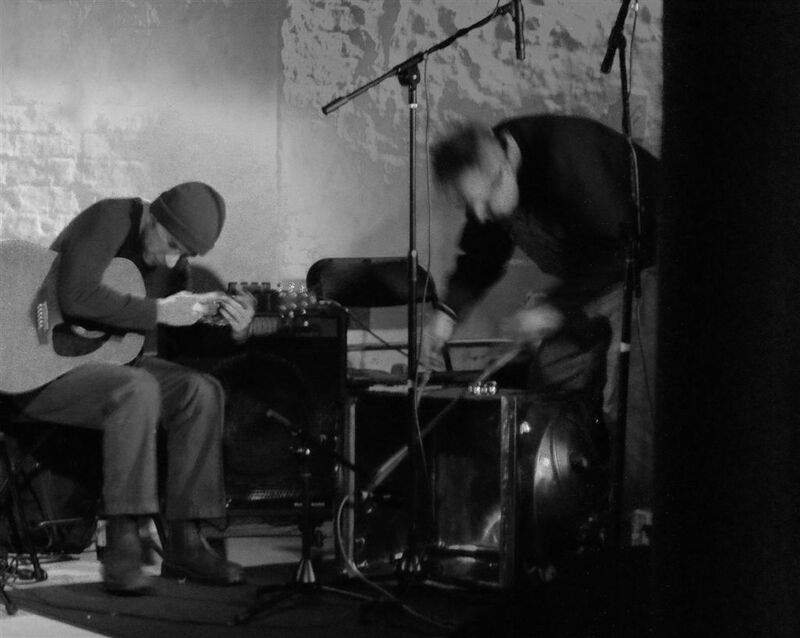 “Young, rebellious improvised music from the very center of the United Kingdom, continued! Manchester in attack, not only in the football dimension! A brave rule of DIY (do it yourself), gray cartons, compacts, cd-ry, vinyl single, freedom, freedom, anarchy, improvisation – how beautiful! 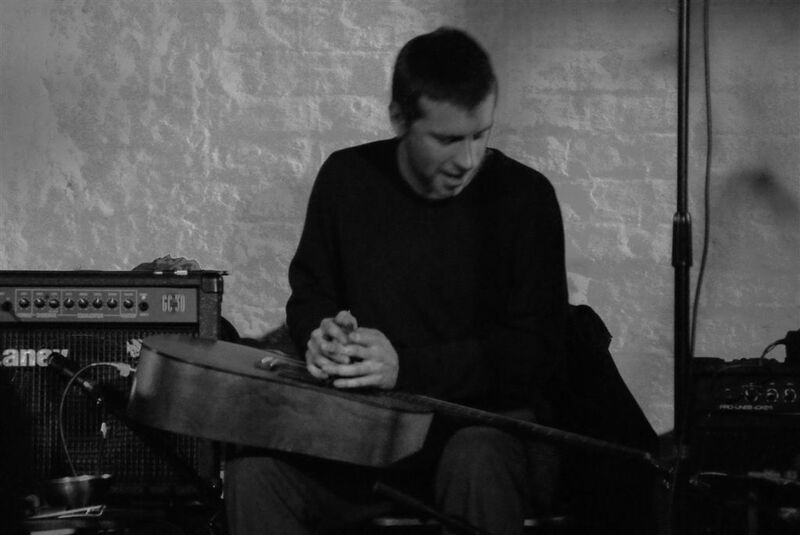 The tiny label run by guitarist David Birchall – Vernacular Recordings *) – was just sixth catalog item. We will look at it in detail, and then also on the previous items, and one will only recall, because it has already been reviewed in these pages. 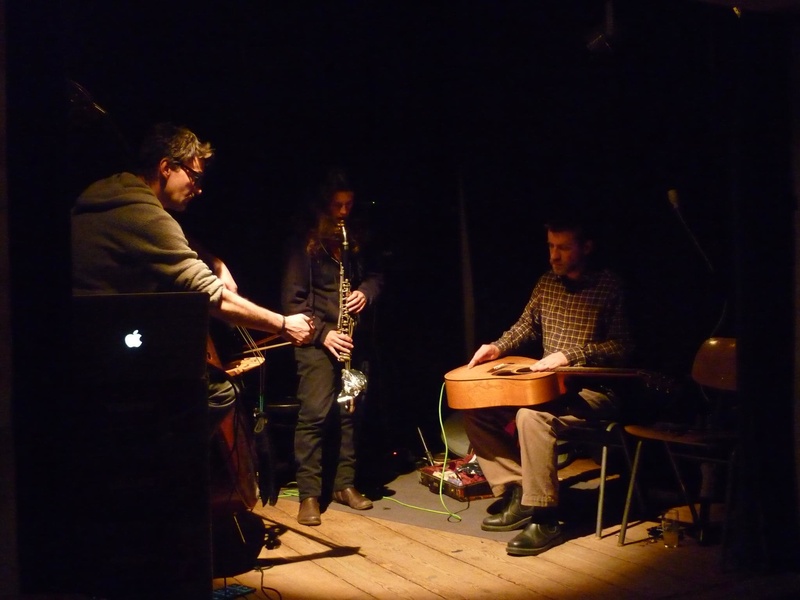 Beppu, Japan, April 2017; Andreae himself – alto saxophone, Otto Willberg – double bass, David Birchall – electric guitar; 1 fragment, nearly 62 minutes. An improvised environment, three musicians, a bar, a yard next to it, children, adult voices. City sounds, trains, planes, instruments and everything that musicians have at hand. Microbiology of sound, the immensity of specific field recordings. In the purely musical aspect, a lot of individual, broken phrases, unfinished narrations, sentences finished in half a word. Improvisation of abandonment, punk dirt, anarchy of phonic decomposition, software nonchalance, the ethos of the contestant. 6 minutes, the first passing train, like a counterpoint to the rebellious story. A lot of humor, artistic banter. Equality of all sounds, each stage behavior. 9-10 minutes, a bit of psychedelia straight from the guitar’s neck, supported by a windmill imitating non-existent air conditioning, it does well to this collective play in unobvious phonics solutions. A narrative in which dissonance and the insistence of deconstruction are more important than making a coherent story (15 minutes, another train). 18-20 minutes, a bit more music straight from typical instruments, guitar, saxophone and double bass. When improvisation goes to play, what happens around within the sounds of the outside world seems to be even more interesting. 28 minutes, the musicians descend to the level of silence and everyone listens to the sounds that are created outside the stage. Waiting for what will happen there … Sounds of silence, children, voices, the roar of air (smog?). 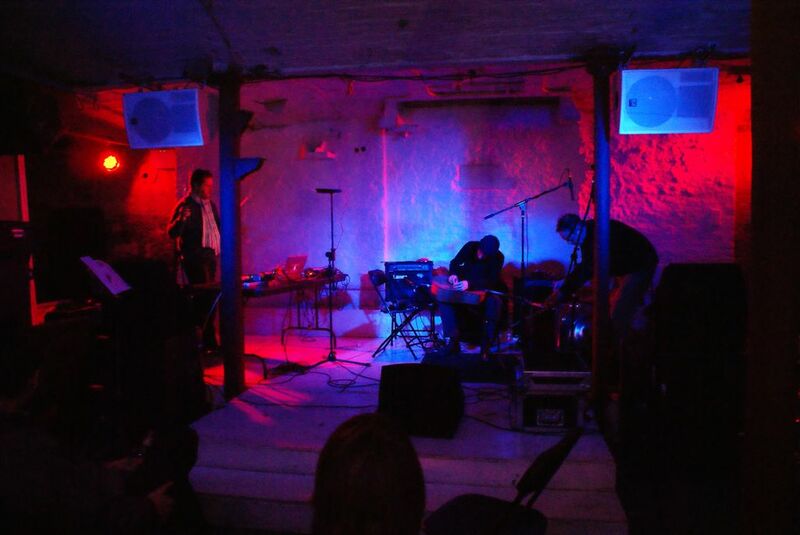 Music that is really concrete – crackles, abrasions, buzzing. 32 minutes – we regulate the watches, because another train passes by. A mysterious background is probably the intended effect. Dog toys to use! We love anarchy! Objects tremble, groan and whine. A real surf in the saxophone tube (35 minutes). After 40 minutes, there would be more music in our ears again, even a bit of noise. Andreae in spite of all conventions of saxophonists, Willberg, who likes to hang on a double bass, a Birchall seeking, tireless, it is from his side that the most interesting things come to us. 46 minutes, the narrative almost stops again. We listen to children. Noise and minor feedback. Waiting, lazy tension. Sonorism not connected to the power side. Fussy sounds. Forgotten love stories, onomatopoeia. Anarchy seems to dominate over improvisation. 57 minutes, microbiology returns, water drips from the ceiling of the sky, it’s probably an attempt to quell the ambivalence of the reviewer. Punk’s Not Dead? Indeed! We are looking for a punch, and life goes on. Another train, already on the last straight of this performance. We are left alone with the sound of the world around us. It’s probably not a concert, rather street street improvisation. Live in Beppu! The previous album of this trio, studio A Hair In The Chimney (VR 004, 2017), was reviewed here. London, May 2015; David Birchall – electric guitar, Colin Webster – tenor saxophone; 4 fragments (two solo, two duet), 57 minutes. Colin solo! Deeply immersed in the tube, dancing on its edge, jumping between the jets, screaming in the middle of the mouthpiece. Sonorism at the peak of development. A slim, inquisitive narrative, care for the quality of each embouchure. Tenor saxophone in a compulsive march after yours. Precision, technique, control over emotions – as usual with this music model. And these inborn tendencies to punk dirt in sound! Applause! David solo! The strings and amplifiers draw a consistent, slow, delicate story. A pinch of onrism between the strings, the metallic charm of each … sound. Step by step, a touch behind the note. The narrative loops up and grows, brilliantly engages and grimaces. 5 minutes, a type of rock, somewhat noisy incidents. Shortly thereafter, a quick return to the original state. Much foni in a unit of time, as if we were listening to a duet or even a guitar trio. The real ferria of electric guitar colors in the arduous process of improvisation. David perfectly controls the instrument, including the emotions of the reviewer. Precise volt with a hint of Hindu ragi somewhere in the middle of the sound box, on the last strings of the strings. Filings of genius on the fingerboard! Perfectly! 12 minutes brings further scraps of noise, as well as particles of silence suspended between them. A real poem of improvisation for solo guitar! For the finale, the molecular display of the grille sliding on the grille that puts the strings in micro resonance. It’s like a guitar whistling! On the last straight dance dipped into the ears in the nanobiology of psychedelia. Strictly Wonderful! Duo 1! Masqued, though slightly fuzzy sonoratics of the tube and strings. Shorts, kisses, guitar loops. Fast turn to noise incidents. Colin hangs on the nozzles, David as if he was continuing the excellent exhibitions from the previous solo part. The Siamese brothers fall into each other like butter. Routes of both musicians compatible with pain. Improve crazy noise, improve slow motion! What ever you want! Descent into silence is lost in lazy psychedelia, which catches noise like a flypaper. 8-9 minutes, a parade of somewhat inconsistent drones, but perfectly effective. Sonority of silence has similar parameters, and it rushes us around 13 minutes. Kisses from the nozzle straight into the face of the neck, almost from mouth to mouth. Body into body, breath after breath. Perfect identity! Duo 2! A molecular game without grammar of the structure and principles of grammar. It is difficult to indicate the level of intenseness at which this duo merges into one body more effectively. With everyone! Here, another dense short circuit, kisses and bubbles. In this group, everything can happen! There is no shortage of imitation at a high level – the guitar sounds like a saxophone, and the saxophone gets a new strings. Sonic magicians! A show of tricks and fireworks! All this second duet episode spins like an idle snake. It is only at the finale that he wags his tail, which he does not have. A perfect, small escalation. Bravo! 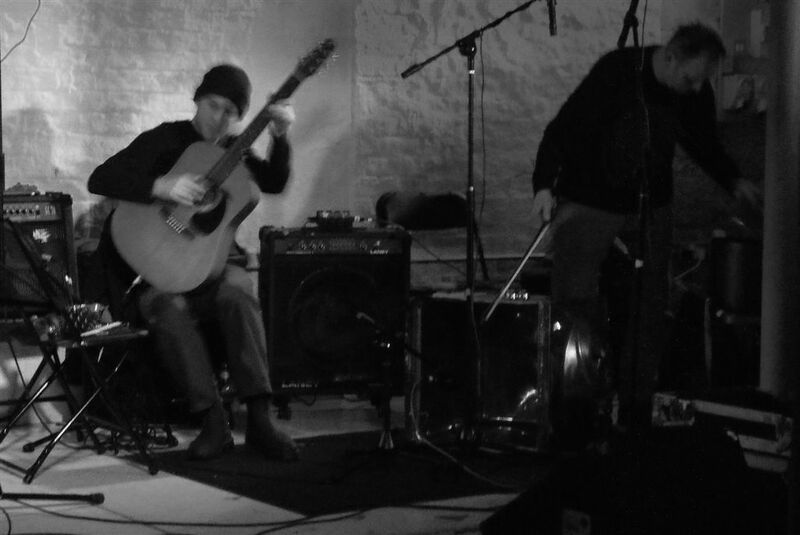 Berlin, June 2015; Richard Scott – synthesizer, David Birchall – acoustic guitar, Phillip Marks – drums, Jon Rose – violin (only in the second part); 2 fragments, 40 and a half minutes. Trio! Quite acoustic exposure despite the presence of a synthesizer. It turns out that a talented musician with such a tool can also run on truly acoustic expeditions. Rws the recording space incidents are definitely non sustained. An example of sophisticated electro-acoustics with a large portion of the imagination (Birchall on the guitar without electricity!). Watchful drummer – plates, percussion in more frequent use than snares and toms. Thick, extremely sensual, carnal improvisation. Narrow band, but good acoustics of the concert. Synthesizer hidden, non-invasive, dramatically intriguing. During the escalation, musicians with feline agility enter noise attributes, also in high registers. A lot of sounds per minute, at times you can get lost in the places where they appear. After all, the synthesizer itself has so many electroacoustic possibilities. It is worth underlining the drummer’s great job at every step. 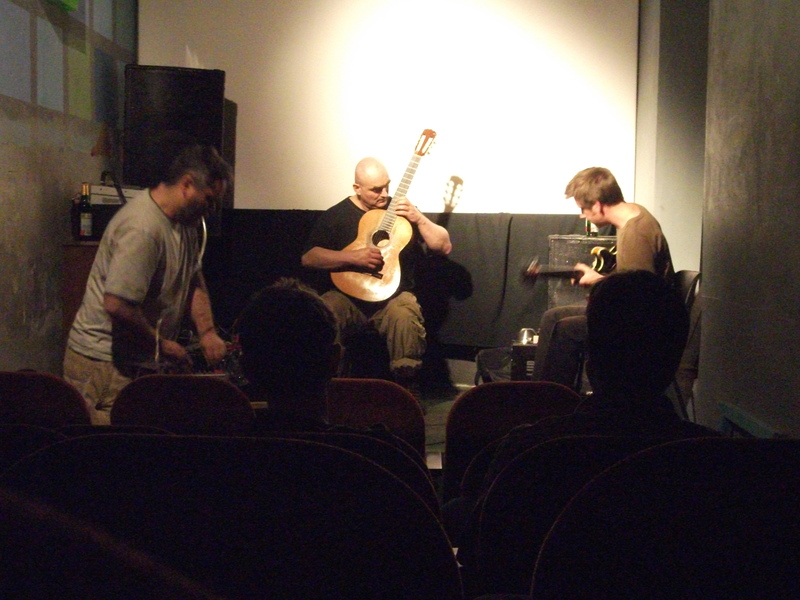 At the same time, Birchalla guitar drowns in the stream of innovations that its partners bring to the stage. Dramaturgically, however, we can not be sure of anything at this concert! Audio phonics are hidden in every alley. 16-17 minutes, a bit of long-lasting sounds. From the synthesizer, maybe also from the guitar, which somewhere caught a bit of amplification. A more peaceful fragment, which is, however, effectively devastated by the drummer’s activities! What a fire! The guitar boils acoustically, the synth sizzles and the plum, but the third instrument remains in the foreground! The rest seemed to levitate. Quartet! The violin throws a pinch of constructive dissonance into the crucible of the narrative. More space, blows from the ocean. The guitar sounds like it has no strings. The synthesizer begins to care more about low frequencies, while the rest makes metaphysical allusions. A bit of a billiard display. The violins burning in the welcome song are flowing violently and explosively. 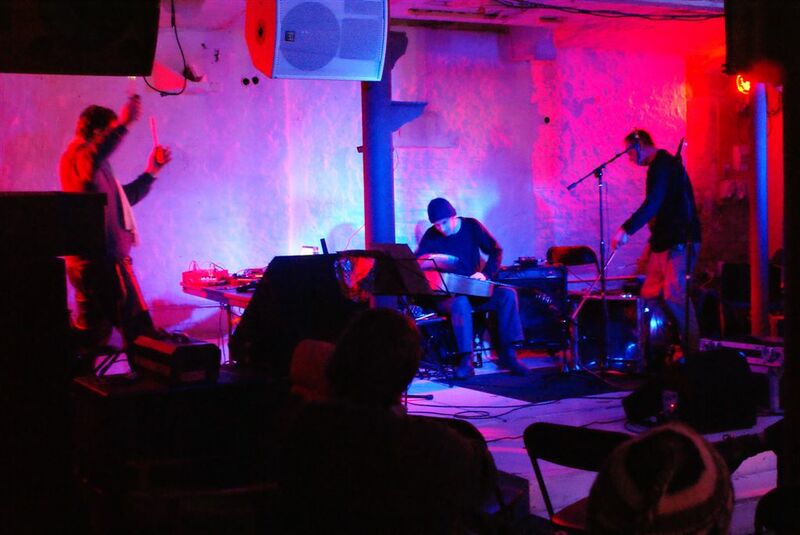 Wartka, multidimensional improvisation. If we liked the version in the trio, what can we say about the quartet ?! Birchall in this part is definitely more prominent. It seems that everything can be played here! Now it sounds like a Russian balalaika! Again, the step towards the narrative sounding of the narrative dulls the instrumental perception of the reviewer. But this one has no shadow of a doubt! It’s a great concert! In the 13th minute, a kind of compulsive industrial! The acoustics of the concert at 4+, it is a pity that not 5+, perhaps even more narrative nuances could be found. However – electroacoustic bauble! 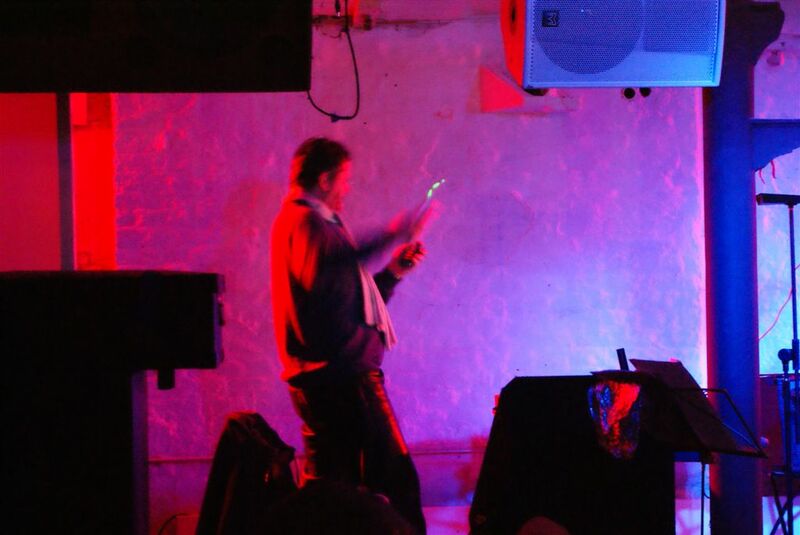 Manchester, April 2016; Kate Armitage – vocals and various objects, THF Drenching – voice recorder, dog toys, voice, pipes, Dave Jackson: woodwind instrument, cracklebox, percussion; 1 fragment, 23 minutes. Botanic garden in the summer heat. Toys in the service of improvisation. A multitude of micro sounds, cat heads, rich and multi-species sound. Wood ornaments. A lot of good interactions, lots of freedom, but also a specific self-discipline of all three musicians. A fluid, compact narrative, despite the use of many atypical items, not entirely familiar with instruments. After all, they do not have the slightest problems with intriguing the reviewer’s ear. The woman’s voice gives the play the taste of the onrism, a pinch of transcendence. After 10 minutes, the narration slightly calms down, we get more vocals and flute, as well as other, higher frequencies. Music tastes like Spontaneous Music Ensemble with Julie Tippets and Trevor Watts – but on light drugs. For the finale of this unusually short story, a bit more percussion displays. Filigree performance, yes improvisation, after all very successful. 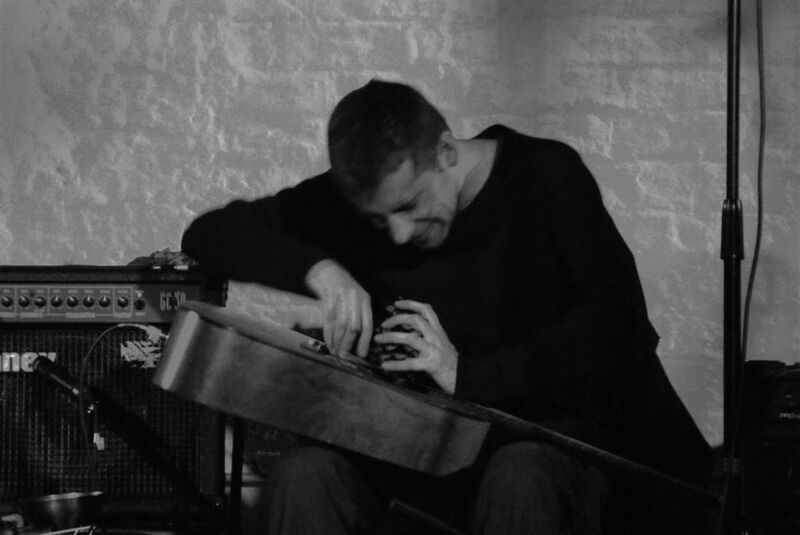 Field recordings from various places and dates (see: title); David Birchall – electric guitar, composition, post-production. 2 fragments, 8 minutes. Still recovering from the great time I had in Berlin end of last week and beginning of this. 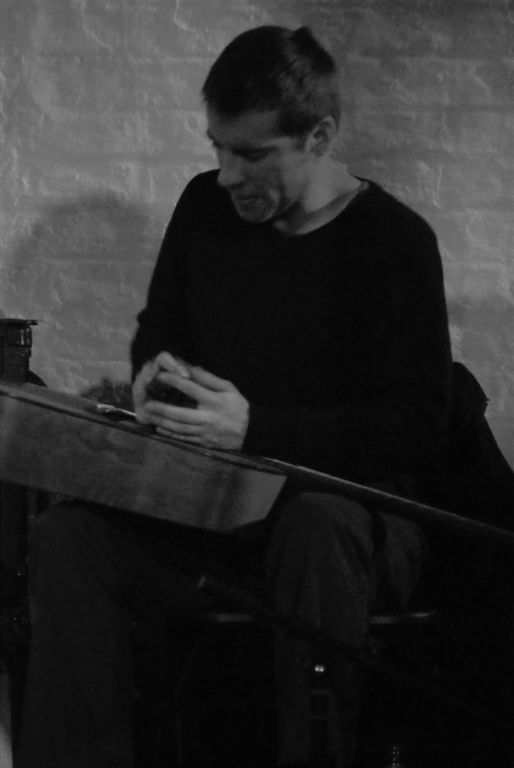 Picture above kindly taken by David Armes from Sowieso gig with Klaus Janek and Anat Cohavi. Playing a lot of solo guitar (as in really trying to improvise not just practicing and tinkering as usual!) set me off thinking about these great notes Dom Lash wrote up on Derek Bailey’s extensive and unpublished archive of guitar notes. Some interesting reading, its the second one down. 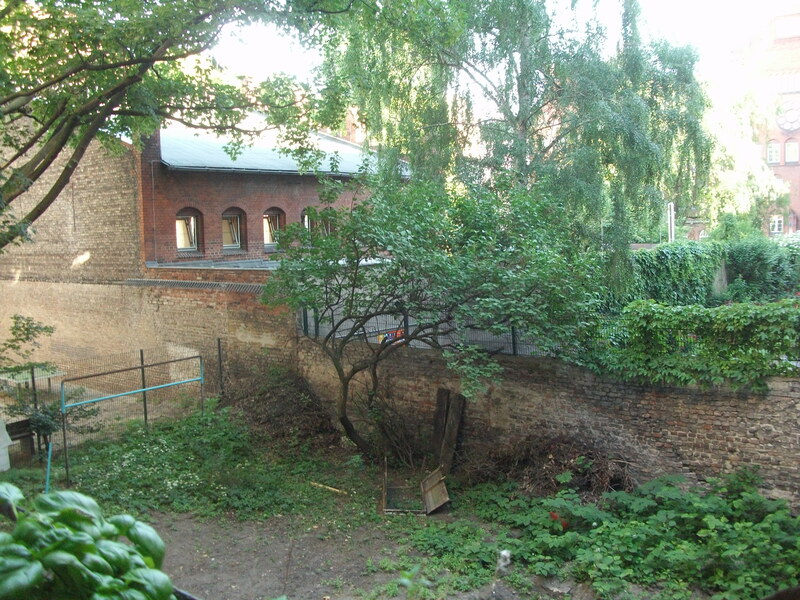 Picture of backyard from balcony of Thomas’ flat where we stayed was pleasantly overgrown and a real haven for birds, spent a good bit of time listening and playing along with them: mainly trying to isolate elements in it relevant to guitar: high end trills, repetition, slide on high end of neck, picks, clicks, harmonics. The yard was also a great place to hear churchbells, a couple of times a day the church on the street at right angles rung out loud and clear. Wonderful drones and overtones from struck metal. Made me wonder where the bell sounds are in Manchester; silent mostly. Made me think of a great stop off on one of the Kalbakken tours, eating ice cream in the churchyard of Youlgreave in Derbyshire, blazing summers day with the bells ringing out, ominous atonal overtone drones hanging in the air.